Spinal cord injuries are life-altering and devastating. Even what some might call a “minor” spinal cord injury can have severe impacts on your life. A slipped disk (herniated disk) in your back or neck can cause pain and numbness on one side of the body, pain while walking, muscle weakness and other discomforting symptoms that might affect your work and personal life in significant ways. 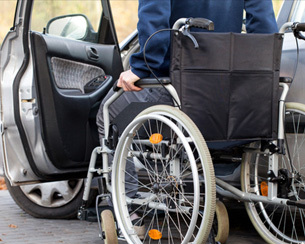 Car wrecks caused by negligent drivers that result in spinal cord injuries are recoverable events in terms of financial compensation, but every injury is different. Everyone suffers from spinal cord injuries differently and recovers differently. Some people never recover from spinal injuries. We have a network of spine specialists whom we work with to evaluate spinal cord injuries that have resulted from the car accidents our clients have suffered through in Manassas, Prince William, Manassas Park, Gainesville, Haymarket, Woodbridge, Lake Ridge, Dumfries, Bristow, Warrenton, Centreville, Fairfax, Stafford, Chantilly, Leesburg, Ashburn, Sterling, Herndon, Reston, Alexandria, Annandale, Arlington, and throughout Northern Virginia. These specialists include orthopedic surgeons and neurosurgeons who each specialize in being able to address different disorders and injuries and in different treatments. Working with spine specialists, accident reconstructionists and life care planners, we are able to establish the full and fair value of your case and fight for your maximum compensation in negotiations and in court. Spinal cord injury victims often require significant care and specialized medical equipment and treatments to be able to live a normal life again. These can include adapted living quarters, home health care services, adaptive transportation services, an expensive medication regimen, regular physical therapy and much more. If you have suffered a slipped disk, impaired mobility (paralysis), loss of sensation, numbness, unexplained pain or muscle weakness, difficulty regulating body temperature, or a head, neck or back injury of any sort, you must consult an experienced personal injury attorney and a physician immediately. Our attorneys in Manassas have been handling spinal cord injury cases for years in Norther Virginia. We look forward to speaking with you. We offer free initial consultations and one-on-one legal services with highly qualified trial lawyers, and we handle all cases on a contingency fee basis.